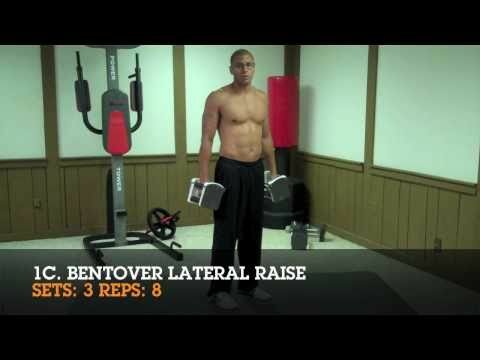 This is first video in a series of videos that I will be doing on FitnessBuilder workouts. FitnessBuilder is the most comprehensive fitness database in the world. It contains the largest library of exercise images & videos, the most challenging workouts across all disciplines, access to a live personal trainer and a complete set of every fitness tool, calculator and tracking feature available. I personally lost 16 pounds using FitnessBuilder . It is my go to tool and allows me to build my own workouts which share them and track everything I do. In my opinion if you looking to stay fit it’s a tool that will help you stay focused and on track. Click to see my experience here. The Pain Workout is Featured in Men’s Fitness September issue. This routine lives up to it’s name. It is a combination of science and exercise that will help you burn more fat by causing lactic acid build up in your muscle. What lactic acid does, first it causes that burning painful sensation in your muscle. second it releases a growth hormone in your body that turns fat in to fuel. We have all experience that burning sensation during our workouts. This routine sole purpose is to cause lactic acid build up , so be prepared to feel the BURN! Use a weight that is 20 to 25% lighter than you normally lift.